Shane Wasik is a marine biologist who got his honors degree in 2003, hailing from Scotland where he started diving and was fascinated by the ocean as a young lad. He is an excellent photographer, marine researcher and the man behind Wildsea Europe´s member Basking Shark Scotland. We have interviewed Shane to learn more about the odds and perks of winter sailing, as well as getting to know a bit of his story. Have a fun read! Q) Originally from/lived in/brewed in? A) Born on the East coast of Scotland, but now live on the West. Also spent a number of years living in New Zealand. A) Founder of Basking Shark Scotland, we run tours and study the Basking Shark population that migrates to the Scottish Islands. As this is very seasonal we have a number of other jobs over the year which ranges from diving and paddlesports, cleaning penguins enclosures at the zoo to running a whale safari to the Arctic during winter! Q) Most likely to be found in...? During our busy summer, we are constantly at sea running trips, so I’ll be skippering our boats or guiding guests in the water, however in winter then we are doing a lot of admin tasks making arrangements for the season with a break when get to play over in the Arctic! Q) What is your favourite subject to photograph underwater? Our in-water encounters with Orca are mind blowing, and given the low light levels in the Arctic winter then it’s very challenging photography along with physical aspects of the cold. However for those who persevere then the rewards are outstanding and unique images! Q) What are the negative traits of winter expeditions? The cold is probably the biggest challenge, the water is much warmer than the air. Along with the added wind chill it can make tricky conditions, we’ve been going for a number of years and every season we change some of out kit or come up with novel ideas to keep warm!!! Q) And the good ones? A) It’s a incredible landscape to visit, snow covered mountains line the fjord with a long dawn/dusk, bathing the snow in orange and pink light, with whales feeding all over the water. It’s very magical! Q) You just got back from an Orca Expedition in Norway. What can you tell us about it/or what has been the highlight of this expedition? A) This was a particular successful trip, the whales were very close to where we had our base and were there in big numbers. We had a day where they were feeding in the shallows in very calm calm conditions and spent over two hours in the water with them. We even returned back during the darkness to watch them feed at night time. It was a very special 24 hours, one I’ll never forget. Q) Any other coming up or in the future? A) We’ll soon be heading towards spring so it’ll be busy for our season in the Scottish Hebrides. We return to the Arctic every year and we also head up to Iceland. We haven’t been since 2015 so I’m keen to get back and explore there. We’re also considering a big expedition to Greenland in a few years time too! Maybe play with some icebergs! Q) What is the most delicate/difficult or scary moment that you have experienced while on board in an expedition? A) The cold is always the factor and adding in snorkelling then there are added risks. If people are in drysuits then there is the possibility of a flood. Last year a ladies zip delaminated and she fully flooded her suit, she was on our open boat so there was a real risk of serious hypothermia, so they had to speed over to meet our cabin boat to get some shelter. We had to get her out of all of her wet clothes and warm her up in emergency blankets! We have smaller floods and other people getting cold but we had to deal with this one quickly and effectively to stop it becoming a much more serious problem! Last year we had to endure hurricane force winds so that was scary and exciting at the same time! A) There are too many moments to really pick out a favourite. Some of the most memorable have been in the Hebrides when we have very calm weather and hundreds of sharks, the islands face west so on occasions we get an incredible sunset at the same time. We had the sharks breaching on one occasion in the setting sun! One of the most incredible encounters in winter has been snorkelling in the deep when two fin whales surprised us and swam right underneath us. The second biggest mammal on the planet grows over 20m so it was very humbling! A) I’ve had a very varied career and given the difficulties with marine biology employment then that would be a common trait I guess. Whilst at university I was a DJ playing house music to the glamorous people in an Edinburgh club at the weekends! I also worked as a diving aquarist at an aquarium during the day hand feeding the sand tiger sharks. So I’d be feeding sharks by day and DJing at night! Q) What are your wishes for the coming year? A) We’ve just had an early Christmas present of our first baby daughter! So at the moment, sleeping for more than 2-3 hours at a time would be everything we would want! Congrats on the newborn and thank you Shane, you are an absolute legend! You can follow Shane and read all about his expeditions - as well as seeing some of his incredible pictures - on his blog. 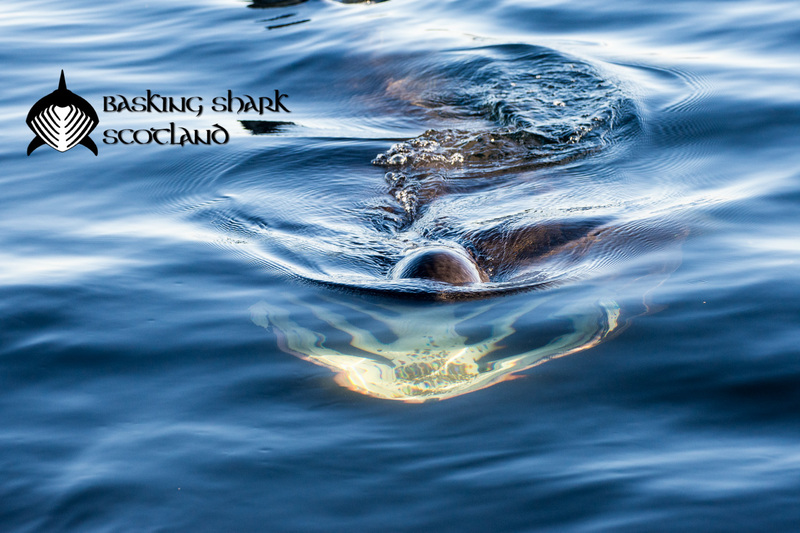 Or you can learn more about the basking shark onboard one of his trips in Scotland!